As if maintaining a company’s vision while creating viable marketing strategies weren’t enough, CMOs are also responsible for staying on top of the latest marketing news, trends, and changes. With the demand to be an expert in both leadership and subject matter, CMOS and other marketing professionals require a balance of practical leadership guidance and strategic marketing advice. Fortunately, we live in a time of information overload where there are more resources than ever for us to soak up lots of valuable insight, ideas, and inspiration. We have plenty of useful content right at our fingertips, whether it’s in online courses, webinars, articles, or books. But, there’s one medium in particular that’s jam-packed with education and entertainment that can be consumed when stationary or on the go. Podcasts! 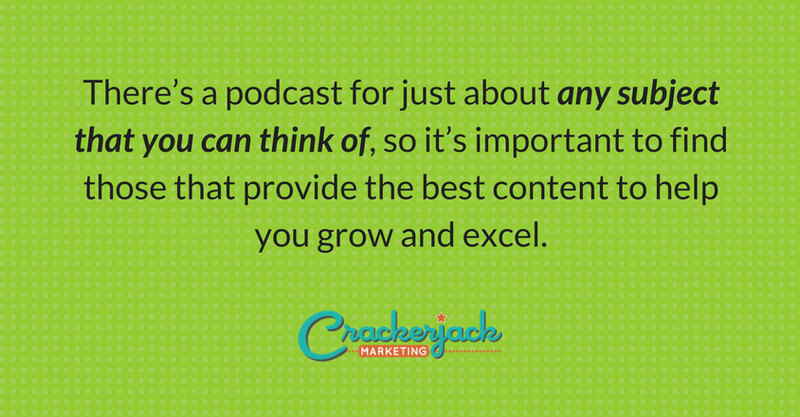 There’s a podcast for just about any subject that you can think of, so it’s important to find those that provide the best content to help you grow and excel. 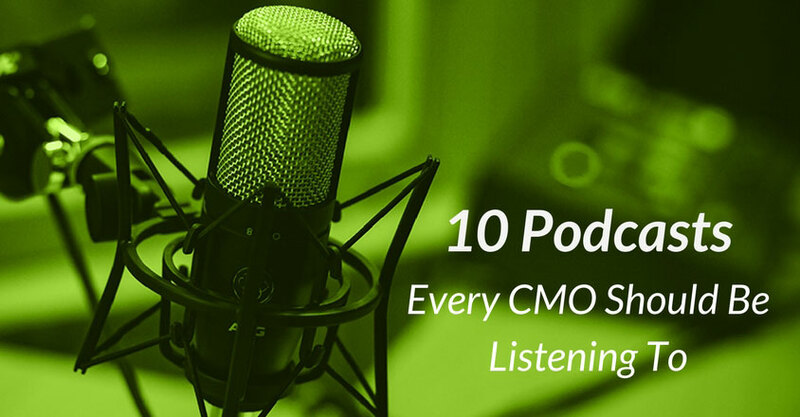 Instead of leaving you to weed through an endless array of shows, here is our list of 10 podcasts that every CMO should be listening to. What better place to start than with Why, as that is the true underlying purpose of your brand or business? If you’re not familiar with the book, Start With Why by Simon Sinek, this podcast is a nice introduction to its overall concept. David Mead and Stephen Shedletzky from the Start With Why team share inspiring stories and interviews with people who are living examples of putting a “Why” into action. Award-winning marketer, entrepreneur, and Renegade CEO Drew Neisser focuses on marketing innovators. He interviews smart, cutting-edge marketing leaders from a wide range of brands, industries, and organization sizes, and uncovers the what, why, and how behind their ongoing success. This podcast introduces non-traditional marketing techniques and disruptive approaches for building brands and accelerating revenues. It provides strategic and practical advice that you can put to work right away and offers the perspective to put you ahead of your peers in terms of innovative thinking. Host Nadine Dietz interviews an impressive roster of A-list CMOS from Spotify, Cadillac, HP, Verizon, Walmart, Mastercard, and more. There’s no shortage of expert advice for marketers at any stage of their career. Guests share their personal stories including failures and strategies that led them to be leaders of some of the world’s biggest brands. This show shares the human side of game-changing CMOs and what they do to grow their teams to greatness. This podcast allows you to dive into the trenches of marketing with former stand-up comedian and copywriting A-lister, Kevin Rogers, and is beneficial to any entrepreneurs, marketers, copywriters, and sales pros. Discover which marketing and copywriting tactics have had the most significant impact on business owners profits, and how you can better connect with your audience. This show provides lots of fresh insights, vital marketing lessons, and plenty of actionable content that you can use right away. Scott talks with CMOs and marketing leaders about tools, technology, content marketing, growth hacking, and varied views on modern marketing ideas. Listen to guests share tips and techniques about how they’re attracting customers and building their brands. The show is an excellent resource for CMOS that features a diverse group of marketing leaders who provide unique ways to approach the toughest challenges in the industry. Best-selling author and disruption expert Whitney Johnson conducts interviews with disruptive innovators and reveals new insights about how we live, learn, and work. Changing the way you look at the world is good for your brain, and this show delivers a dose of fresh ideas and ways to think outside of the box. This podcast encourages the importance of taking chances in your career, opening up to positive change, and making room for new opportunities. Host Gary Vaynerchuk, entrepreneur, internet thought leader, CEO, investor, and public speaker uses this podcast to share keynote speeches on marketing and business, interviews, Q&As, and segments from his inspiring video series. Learn from one of the best-known marketing influencers out there about business, marketing, media trends, tech, and more. Stay on top of all the happenings in social media and the digital marketing industry, no matter where you are on the spectrum. Host Guy Raz explores the stories behind some of the world’s best-known companies, leaders, and innovators, and the movements that they’ve built. This podcast shares ideas and advice around what it takes to make it and the drive it takes to get there from people who have built amazing products and businesses. Social Media Examiner’s Michael Stelzner helps you navigate your business through the social jungle with expert interviews from social media marketing pros. Learn new strategies, tactics, and actionable tips to take your social media marketing to a game-changing level while keeping up with the ever-changing industry. This podcast is a go-to source for staying on top of all things social media with great takeaways, facts, and statistics, and is a must-listen if you have any interest in business. Are there any other podcasts for CMOs you would add to this list? 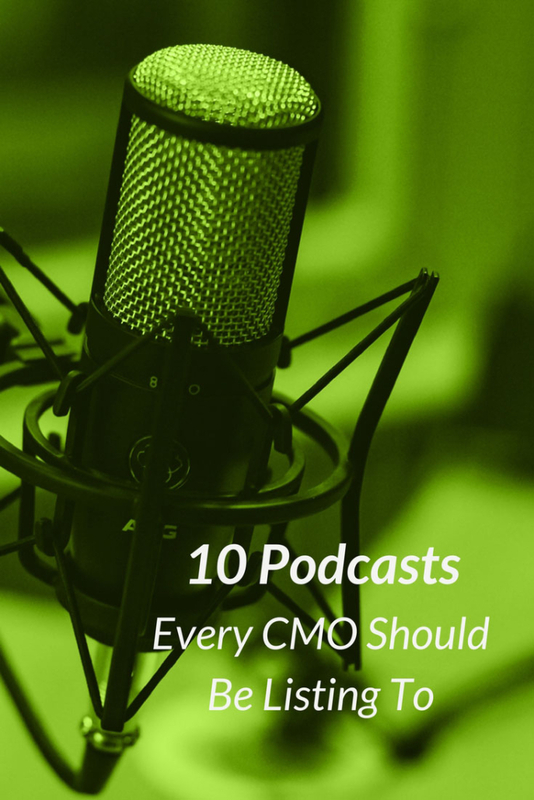 Try creating a playlist with some (or all) of the podcasts mentioned in this list to help you stay fresh, relevant, inspired, and successful in your role as a CMO. Seth Godin’s Akimbo is a must!